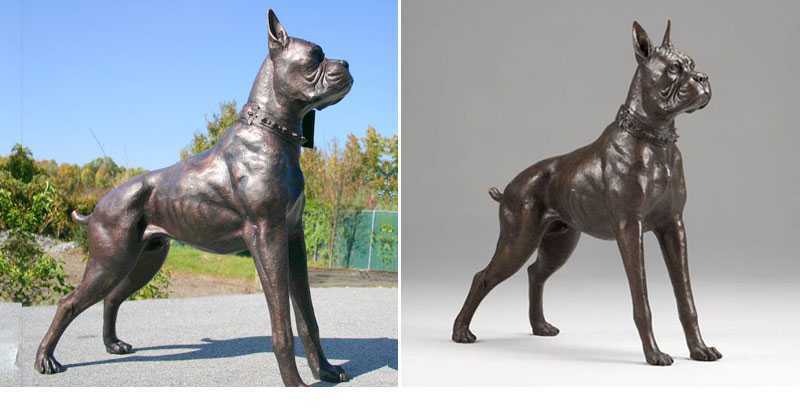 This adorable boxer statue has such a magnificent look on his face. With his ears pointed up he’s looking out and keeping an eye on things. He is made of durable fiberglass will be an excellent piece on the front porch or the back patio area. 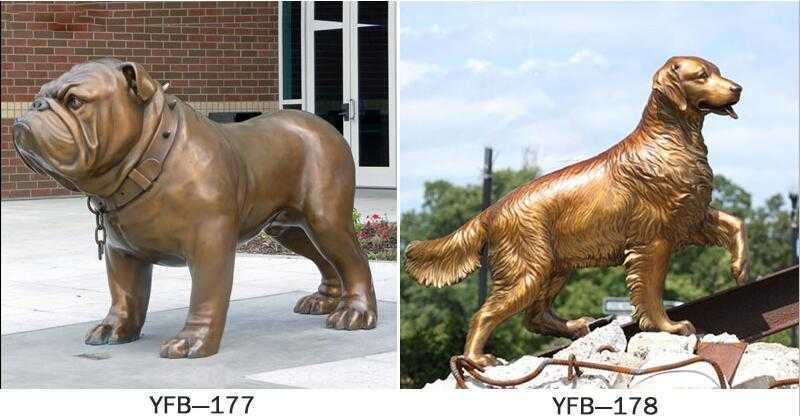 He can be placed outdoors in year-round weather and has several finish options in bronze. 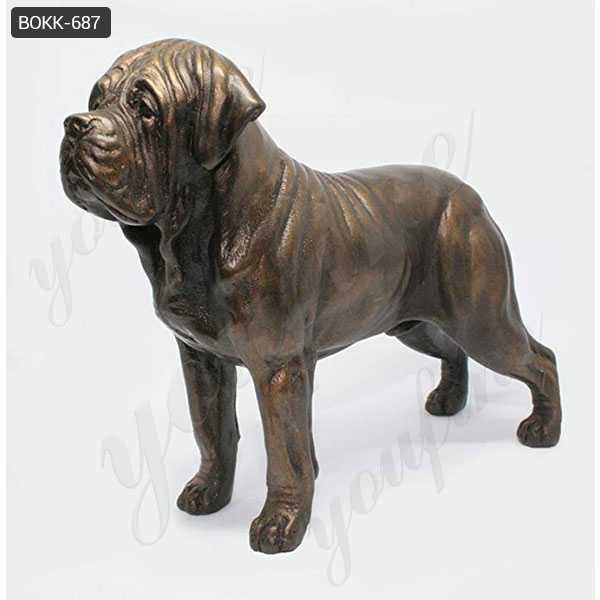 This Large Boxer Dog Statue replicates the intelligent dog breed with life like details making it look real. Makes a wonderful gift for dog lovers. 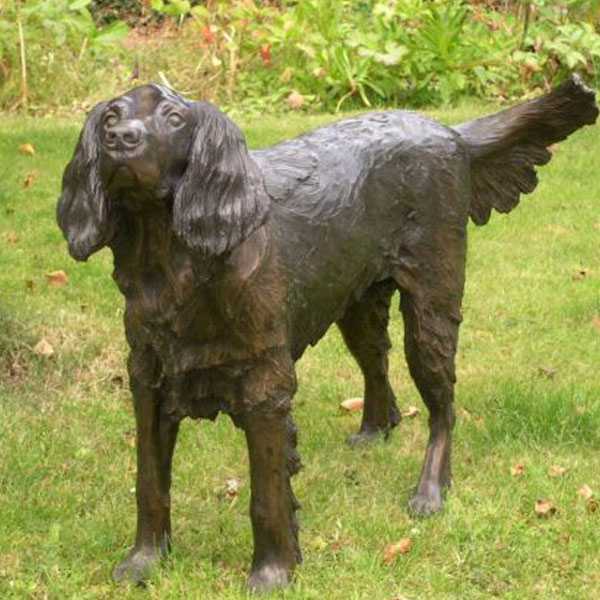 Made with bronze, this statue is good for both indoors and outdoors. Boxers are medium-sized short dog dogs developed in Germany. The coat is smooth and tight fit. The color is colored or dimmed and white, with or without white markings. The boxer has a vast and short skull and has a square muzzle, a lower jaw vestibule (under-byte), a very strong jaw, and a strong bite dangling on a large prey. 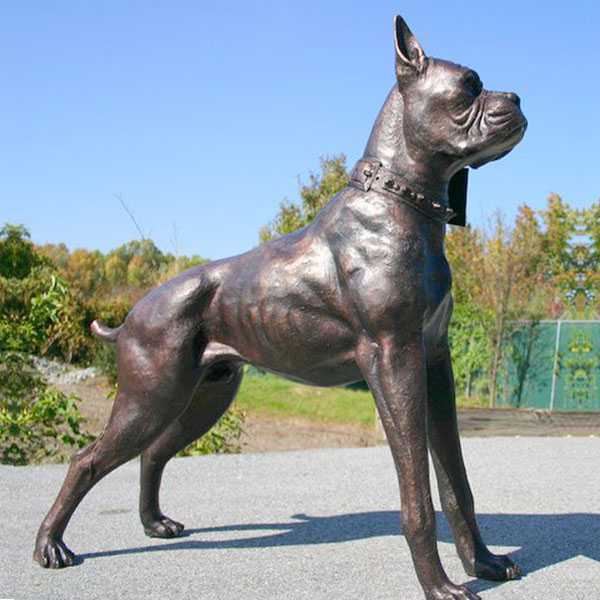 This Large Boxer Dog Statue stands at attention looking and watching as boxers do. An excellent piece for the front porch or deck area. Made from fiberglass with several finish options. The boxer was bred from the Old English Bulldog (old-english Bulldog) and the now extinct Burren (bullenbeisser), but this was exterminated by mating, not decadence of the Breed. 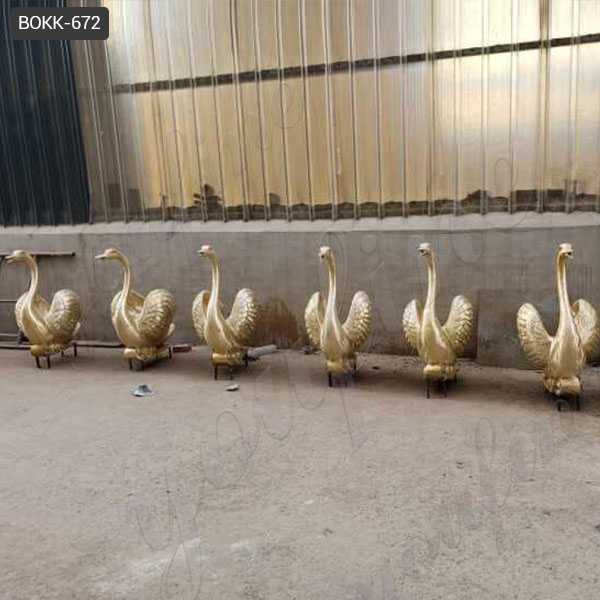 The purpose of mating was the need to produce thousands of dogs to one of the most popular breeds in the world, with the hope that they would eliminate the excess white of the Breed. Boxer is a member of the Molosser Group. 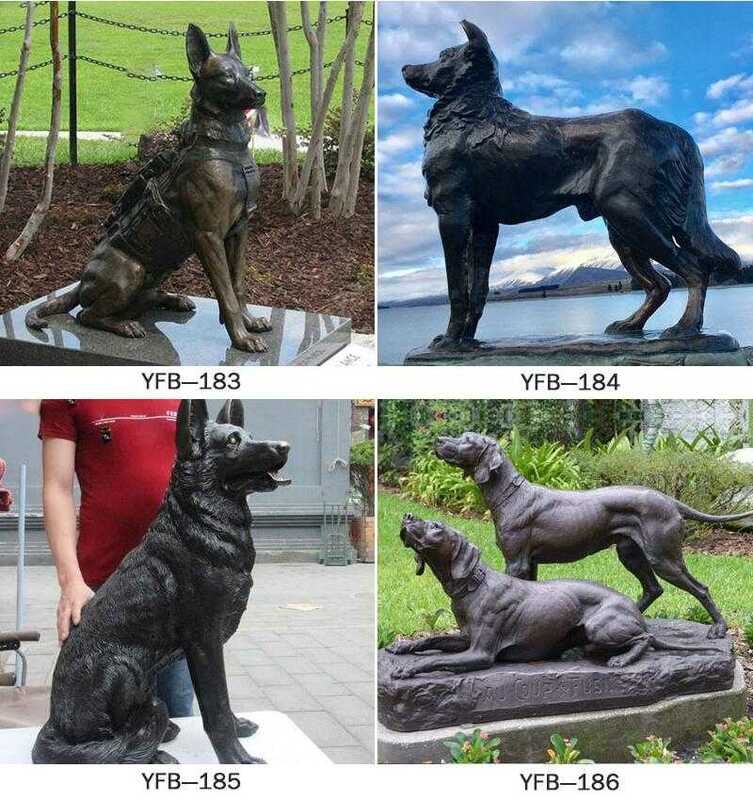 This group is a category of tightly built Big dog breeds, all descended from the same common ancestor, the dog of the large shepherd, known as Molossus. 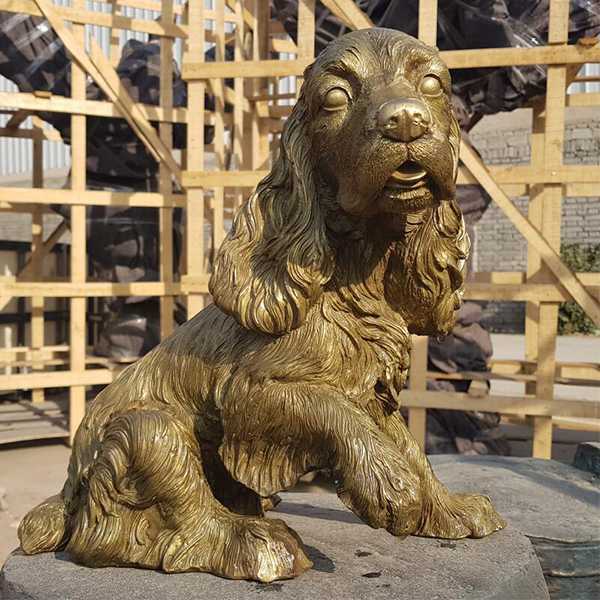 So any reuqirement about Large Boxer Dog Statue or want to custom made other bronze animal statue,please contact with us freely !